As a visitor at North Lodge you will have all the comforts and warmth you expect from a usual B&B the differences are behind the scenes - The B&B is run entirely from alternative energy sources - no fossil fuels, no pollution. It is heated from solar in the summer for hot water and with wood and solar for heating/hot water in the winter. The shower room is lit by a sunpipe in the daytime, and the shower has no pump it works on pressure, very resourceful. 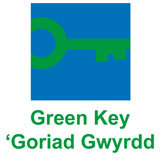 Close by there are woodland, hill, and coastal walks, beaches, cycle routes, water and horse riding activities. Near to Cardigan Bay, for dolphin and seal trips, and Newport for fine dining and views... Lots of attractions and things to do: Castle Henllys medieval village, Wales Wildlife Centre, Cenarth Falls and Coracle Centre, Shire Horse Farm, Boat trips and kayaking, Castles and standing stones, events and festivals right through the year. 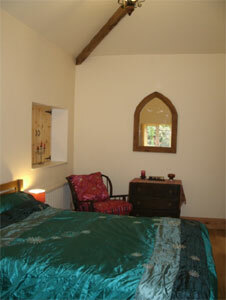 The two rooms are set in the old stone 1850's Lodge part of the house, with tall ceilings and old beams. The B&B bedroom and bathroom accommodation is in the old part of the lodge, separate from the main house offering you the choice to join us or have your own private personal break to come and go as you please through your own entrance. Ideal for romantic retreats and winter breaks alike. We offer breakfast from locally sourced and whenever possible organic produce. We can cater for vegetarians but please let us know when booking. For those wanting something different yet affordable, we endeavour to cater for all types of people. If you have any special needs or requirements, please let us know and we will do our best to try to make your stay a pleasant, friendly and enjoyable one. North Lodge has been visited by a Japanese film crew for a programme with around 4 million viewers.